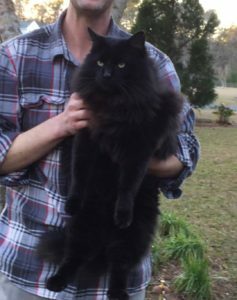 Physical Description of Pet	Large, long haired black cat. Green eyes. Slight cut out on left ear from injury.